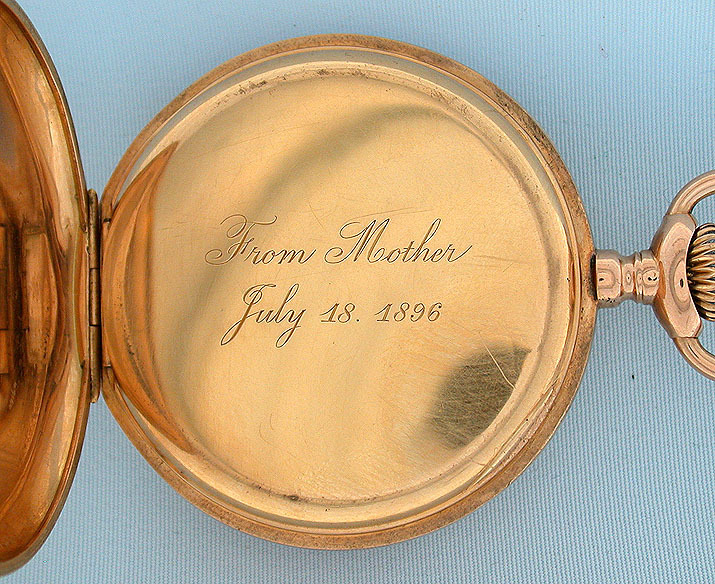 Fine Swiss Patek Philippe 18K gold and enamel antique pocket watch circa 1896. 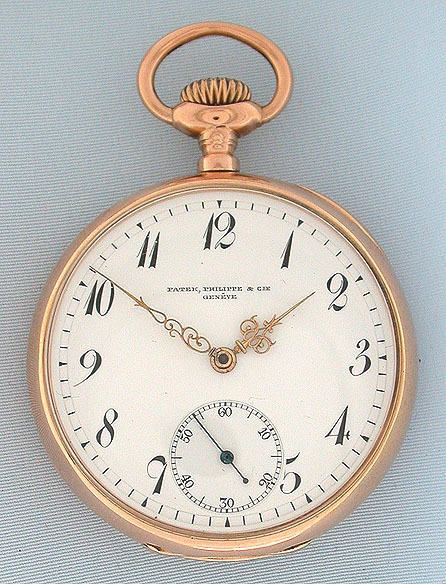 White enamel dial (clean hairline) with fancy gold hands. 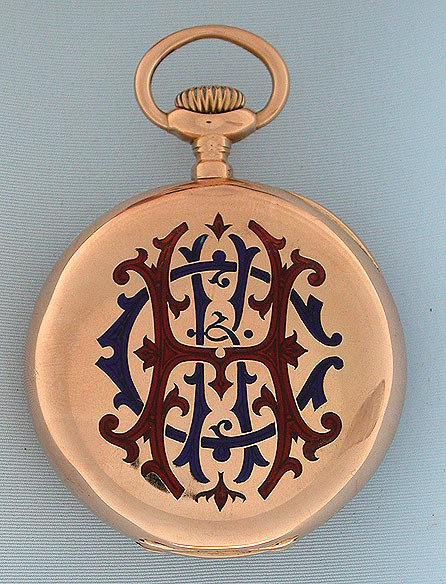 Plain polish case with blue and red elaborate monogram. 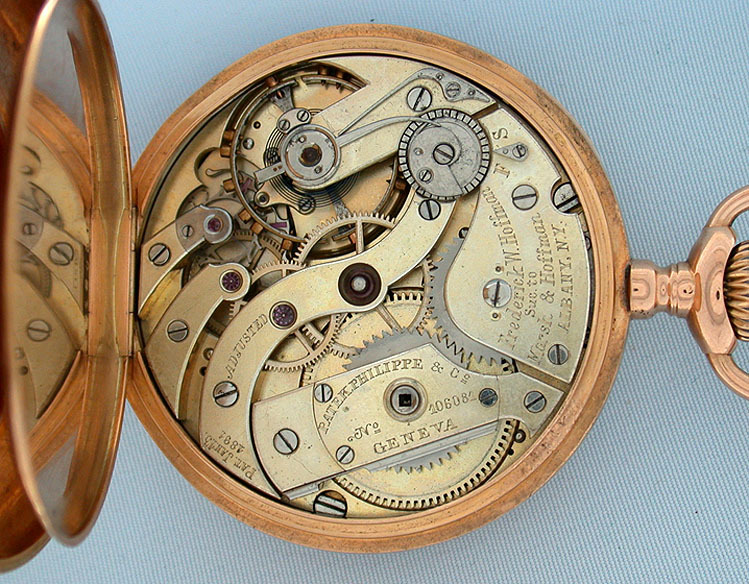 Gilt 18 jewel movement with wolf's tooth winding and moustache pallet. Classic.